I've been thinking about imposters lately. (Why? That's for me to know and for you to read about in a few months.) So I was thrilled to discover this fascinating list of the world's ten greatest imposters. At number two, there's Frank Abagnale, who managed to impersonate a pilot, a doctor, and a lawyer without the benefit of a single degree. And number nine is Mary Baker, an English cobbler's daughter, who invented a new language and convinced the world that she was Princess Carabou from the island of Javasu. But I was surprised to see that the list did not include one of the most famous imposters of all. In 1918, the last Czar of Russia and his family were murdered by Bolsheviks. But in 1920, a lovely young woman appeared in Berlin. Her name was Anna Anderson (shown below), and she claimed to be the Grand Duchess Anastasia (shown above), one of the Czar's three daughters. Anderson spun a remarkable tale. 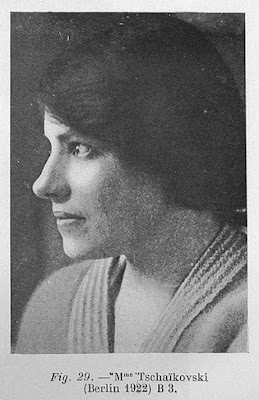 She'd been shot by the Bolsheviks but managed to escape with the help of a soldier. Later, she had made her way to Berlin where she tried to contact her father's sister, Princess Irene. When the princess failed to recognize her, Anderson tried to take her life. Doctors at the mental facility where Anderson had been taken after her suicide attempt confirmed that the young woman's body was riddled with bullet wounds. 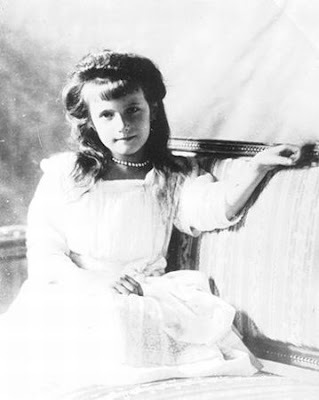 For decades, many believed that Anderson was, in fact, the Grand Duchess Anastasia. Even members of the royal family insisted she was a relation. Anderson's true identity remained one of the world's greatest mysteries--until 1994 when DNA testing proved that Anderson was not of royal blood. She had been an imposter after all. Sadly, the bones of the real Anastasia were recently identified. While Anna Anderson hobnobbed with royalty, Anastasia had been lying in a lonely grave on the eastern side of the Ural mountains. That is horrible! I can't belive they didn't do DNA testing sooner, or id they have DNA testing that early? Yeah, I was always fascinated by the story of Anastatia, but I never knew about Anna Anderson! I knew about Anna Anderson, but didn't Anna Anderson have amnesia? I know that Anastaisia in the Disney version did, and that was loosley based on Anna A., and I read somewhere else that she truly did have amnesia. Emma-- they didn't have DNA testing back then. It was developed pretty recently. The real Anastasia's bones must have only been found in the last few years, so nobody could prove the poor girl was dead during Anna's life. Happy St. Patrick's Day, top of the morning to you, all that stuff. Kiki 3 sneak peek = soon? Please? Must I grovel? Oh, and the Irish Superhero sounds awesome. But I don't think that's impersonating . . . I had read about that--I think it's really interesting and also kind of sad. "I've been thinking about imposters lately. (Why? That's for me to know and for you to read about in a few months.)" I read about Anna Anderson in a really cool book about the tsars. It said that she had bayonnett scars on her feet. For a while I sort of believed it.... until about three days ago when I read about it in NatGeo 8-0 shocking. There's this great book about that whole Anastasia thing. My little sis got it from the library after we watched the movie (which isn't Disney, it's Fox). I don't think she read it, though. I think she just looked at the pictures and decided it was too creepy. Oh, really? It's fox? I wondered why they never had it with the Disney stuff! It seems very disney, though. These imposters are amazing. Coincidentally, yesterday, in history class as a Cold War-Communist paranoia game, we were given pieces of paper. On the piece of paper, there was a chance you were a dot. As a dot, you have to get into the non-dot groups. If you don't, you get 5 points. If you're a non-dot, and you make a good group without dots, you get the full 10 points...if not... you get 5 points. when she said for us to find out, i hope it means shes writing another book!!!!! i would LOOVVVEEE it!!!!!!!!!!!!!!! Ah hah! A clue! Someone impersonates Betty, right? Wow. i feel so bad for the duchess. it must have been so cruel to have been killed then left in the woods. btw...... does anyone know when kiki 3 is going come out.. i have read the first two like a zillion times and i'm dieing to find out what happens. if ananka still the narrator or is it going to be betty???????? too many questions & so few answers!!!!!!!!!!!! c) I can't believe that guy preformed succesful surgeries!!!!!!! the DNA testing was faked because the English Royal family could not afford to have it come out that they had covered it up all these years. Ask DNA experts.